Sometimes I have a hard time making up my mind on what to wear. I'm not always 100% organized and I don't always follow the trends. I tend to keep it basic and always buy bits and pieces that can be used many ways and obviously fitting for various occasions as well. Here are some boots I've purchased over 10 years ago with the exception of the black and gray ones. Those are about 3 years old. 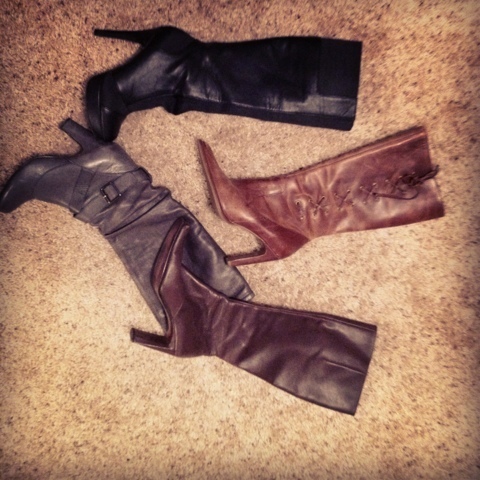 I use and reuse and they remain in my closet for when I feel I want to wear that type of heel.